The fall is fast approaching with leafs turning early because of the beautiful, dry, hot summer we've had. With fall coming quickly to Stowe we are all ramping up for the influx of tourists. People often ask me for places to stay and during the fall season one great place, because of its central location and proximity to fall events, is the Stoweflake Mountain Resort & Spa. Right across the street from the Stowe Farmers Market(a must do) and half way to town or the mountain, it's a great place to be. The Stoweflake spa is an excellent stop for a rainy afternoon. Try a hot air balloon ride for a unique view of the famous New England foliage. The Stoweflake offers comfortable rooms, an indoor and outdoor pool for the kids, great gym and a few dining options. It is also right off the bike path, a wonderful way to spend a day. 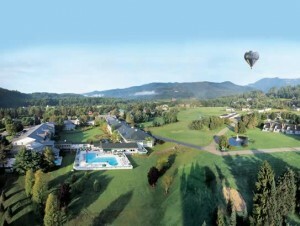 Find out more about the Stoweflake Mountain Resort and Spa by clicking here. For more things to do in Stowe during the Fall click here.